Challenging conversations are the lifeblood of performance improvement and problem-solving for managers at all levels. Unfortunately, too many managers delay conducting these conversations out of fear of reprisal or because they believe the conversation will jeopardize their relationship with the other party. It is essential to gain control over those emotions, and the best way to develop confidence for delivering difficult conversations is to follow a structured process. Do the Planning Work: Your observation of the behaviors in question, and your ability to connect those behaviors to the business are essential. Know where you want the conversation to go. True feedback masters develop the discipline to write out and practice their planned conversation opener. Prior planning prevents lousy performance! Timeliness Is Essential: If you have ever received an annual performance review that included criticism of something you allegedly did or did not do a few months ago, you know how worthless stale feedback is. It is your job as a manager to ensure that the feedback is behavioral, business-focused, and timely. My writing partner for my first book, Practical Lessons in Leadership, suggested that the value of constructive feedback declined by 50% every day you delayed giving it. If emotions are hot, let things cool a bit. While I just finished imploring you to provide timely feedback—as close to the incident as possible—if things are heated, take a day to let them cool down a bit. Just do not let it linger for too long. Choose the Setting: If your tough topic is potentially embarrassing or you anticipate an emotional response, avoid open-office settings or conference rooms with glass windows. Do not err on the other side by selecting a setting designed to intimidate. A neutral, private setting is best for more difficult conversations. If you are fearful of physical repercussions, consult with your H.R. representative who may decide to be present with you. Prepare Your Attitude: It is essential to go into these discussions with a feeling of confidence and a demeanor that shows you are calm and committed to a positive outcome. Your tone of voice, body language, and eye-contact are all important. Remember, this conversation is important for your business, your team and the individual sitting across from you. Manage yourself to portray the right level of resolve with the right level of concern for the other party’s welfare. Use the Opening Sentence You Prepared in the Planning Session: A good opener identifies the behavior, links it to the business’ impact, and indicates the need for change. Do not feel compelled to wrap it in praise. While some feedback practitioners appreciate “sandwiching” constructive feedback with positive, many believe this simply confuses the message. And, of course, you should be giving positive feedback—when earned—early and often. Do Not Be Derailed by Waterworks: Both men and women will cry on occasion, and while uncomfortable, it is often the individual’s way of responding to stress. Be prepared with a tissue. Allow time for them to compose. If needed, take a brief break. You can be empathetic with the situation, just do not let the tears derail your focus on getting to the right resolution. Promote a Dialog: The best feedback and behavior-focused conversations are discussions, not monologues. The other party will give you openings to create a discussion where appropriate. Probe to confirm understanding and ask for ideas on strengthening or changing the behavior in question. You know it is working when the receiving party offers ideas on his/her own improvements. Remember to Work Towards Your Planned Direction for the Conversation: If the behavior is a skill or knowledge related one, come prepared with ideas for training. If it is coaching to bolster confidence or encourage the individual to take the next step, put on your coaching hat. 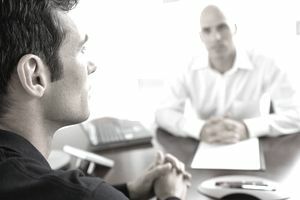 If the topic is focused on unacceptable behavior, reiterate the business impact of the behavior and offer clear counseling on avoiding this in the future. When dealing with the most difficult topics of performance or behavior, there must be implications for non-compliance. Build an Action Plan Together: Once you have gained clarity on the issue, work together to define the way forward. Agree on a plan of action and set a clear date to follow-up and discuss progress. Most managers are stalling on conducting what they perceive will be a difficult conversation. The other secret is that most people want feedback and want to improve. In poll after poll in my workshops, individuals overwhelmingly express that they wish their managers would give them more feedback—both constructive and positive. Instead of delaying these performance, career, and business enhancing discussions plan for success and use the process and tips above to help you strengthen your performance with this critical management tool.